Speed is the main motivation for installing a solid state drive (SSD) in your desktop or laptop. If you want your machine to boot faster and your files to open a lot quicker, then replacing your current HDD with an SDD may be a good idea. The best news about SSDs is that they are now affordable for most people; the prices have reduced considerably from the early days. Not everything about SSDs is positive though. Even with the reduction in price they are still a more expensive option than HDDs. That being said, even a computer that is a few years old can boot faster than a brand new one if the former is fitted with an SSD and the latter with an HDD, If you are thinking of fitting an SSD in your computer, here are five important facts that it’s useful for you to know. There is absolutely no point in paying out for an SSD if you then find you cannot actually fit it. The vast majority of SSDs are sized at a 2.5 inch form factor. If you are fitting the SSD to a laptop this should be ideal as this is the size of most laptop HDDs. 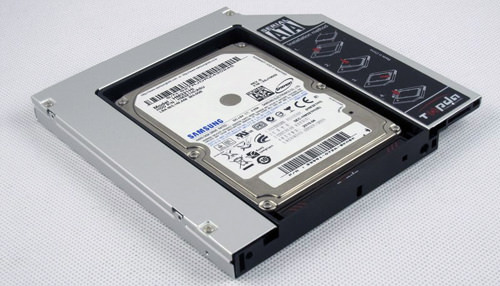 If you are fitting the SSD to a desktop computer, you will probably find that you need to utilise an adaptor as the standard size for an HDD is a 3.5 inch form factor. You also need to check the thickness of the SSD. This is going to be of particular concern if you have an ultra thin laptop. The goods news is that there are now M.2 standard SSDs which are designed for precisely this eventuality. If you are more than happy with your computer taking just seconds to boot, and file load speeds being around ten times faster then any SSD is likely to be a good choice for you. On the other hand, if your speed needs are approaching professional level you are going to have to invest more cash in a high end SSD that really helps your computer to fly. Data is written to an SDD in a specific manner. A series of pages is used and these pages form a block. You may be used to being able to simply overwrite data on an HDD, but you cannot do this once you have installed an SSD. If you want to add data to a block that already contains data, the entire block needs to be erased first. This means that data which is already stored has been moved elsewhere. This is why it’s so important to ensure that you always leave empty space available; 20-30% is the recommendation. It’s also why the performance of an SSD does tend to degenerate over time; as more storage space is taken up. It’s a good idea to use the SDD you install simply for the operating system and applications. You can use an external HDD, or the Cloud to store items such as media. Many SDDs are sold together with software that enables you to migrate the content of your current HDD. You may think that this is the best option but there are a couple of potential issues you need to consider. The first point it’s worth mentioning is that it’s unlikely everything that is contained on your HDD will fit on your SDD. This means that you have to go through everything and sort content that can be stored on an external HDD, before you begin migration. The second point we want to bring to your attention is that you can experience difficulties during the migration process. It’s often a better idea to re-install your operating system and applications on the SSD. Around three quarters of HDDs are still working after four years. The average lifespan of an SSD is between five sand seven years. There is not a vast difference. Although SSDs do not have any moving parts they are susceptible to damage from electrical outages, You may also find yourself losing the ability to write to your SSD because of the problems of space we looked at earlier. There is no doubt that upgrading to an SSD makes sense from the point of view of speed. You can purchase an SSD online from Crucial, they provide you with the ability to check which SSD is compatible with your machine. This way you know that you are not wasting your money. If you have the budget to afford making an SSD purchase then doing so can give your machine a new lease of life. Of course, you should think carefully about all the points we have made in this article. You need to consider any issues you might have, and make plans to resolve them, before you begin the process of upgrading to an SSD.